Viral Marketing Coup Pulled By Motorola? Motorola may have just pulled off an unbelievable viral marketing play for a project that could change mobile hardware forever. Last month a company called Phonebloks used the video below to pose an interesting question: If smartphones are basically the same as any other type of computer, why do we have to scrap them every time we want a new hardware feature? Why can’t mobile technology be upgraded or customized like a laptop or desktop computer? Phonebloks from Leandro Saal on Vimeo. Phonebloks use a modular “endoskelleton” to house individual phone components, called “bloks.” When you buy a phone you choose the components you want (camera, extra battery, faster processor) and assemble a custom phone that is right for you. Then, as components break or become obsolete, you update them one at a time. The video asks for a day of advocacy on social media, getting millions of voices behind the idea, to take place on October 29, 2013. The video exploded; it was viewed over 1 Million times on the first day it went up. Before you get your hopes up, it turns out there are a ton of reasons you can’t upgrade your cell phone hardware like this — reasons which Reddit’s nerderati were happy to lay out in great detail. Phonebloks spent a few days under the Internet’s collective boot heel. Well today (October 29, 2013) Motorola put out this press release: Motorola Announces Project Ara, an open hardware platform with modular components ala Phonebloks. The press release even addresses some of the specific criticisms leveled at the original Phonebloks idea. So, what can we glean from this? It could be Motorola said “Hello, Moto,” to a good idea when they saw one. But, since the hardware development kits for Project Ara are going out before the end of the year, the more conspiratorial reader might see something different. What if Motorola, which has obviously been working on the modular hardware idea for some time, actually used the Phonebloks video as a front to announce the idea, absorb criticism and test the water BEFORE they had to put their own name behind it? Basically, crowdsourcing the market research and identifying technical hurdles in one fell swoop while risking nothing. 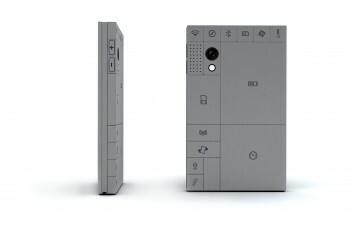 By announcing the project as a collaboration they validated the scrappy, startup-style idea of modular hardware (and just as importantly the fanboys/girls who had invested themselves in the Phonebloks concept) and addressed all of the criticisms directly from day one. Or, put differently, they let Phonebloks get crushed and mocked, then granted them a glorious resurrection. I’m not saying there never was a Phonebloks… I’m just saying the timing is odd and the results look outlier-ish to me. Is this a PR play that will go down in hardware history, a collaboration born of fortuitous coincidence or something else?